Oculus VR was created with gaming in mind but once Facebook announced intentions to buy the technology, the trajectory of the company forever changed. Sure, Facebook would still dabble in gaming but the long-term vision of Zuckerberg and crew has always been to make VR a social experience. At its F8 conference on Tuesday, Facebook set in motion the wheels to steer public perception in that exact direction with the (open) beta launch of Facebook Spaces. The program, which requires an Oculus Rift headset with Touch controllers (well, sort of), allows users to hang out with friends and family in “fun, interactive virtual environments” as if you were all in the same room. Simply select one of your Facebook photos to see an array of virtual options for your VR avatar. From there, you can customize the look of your avatar by changing things like eye color, hairstyle and facial features to best match your identity. In the virtual world, you’ll be able to draw in the air, share 360-degree videos and photos and more. Users can even take “selfies” with a virtual selfie stick and post the “image” to Facebook. While an Oculus Rift is obviously preferred, it’s not necessary as anyone with a phone and the Messenger app can join in via video call. Facebook said it plans to expand the app to additional platforms over time as well. 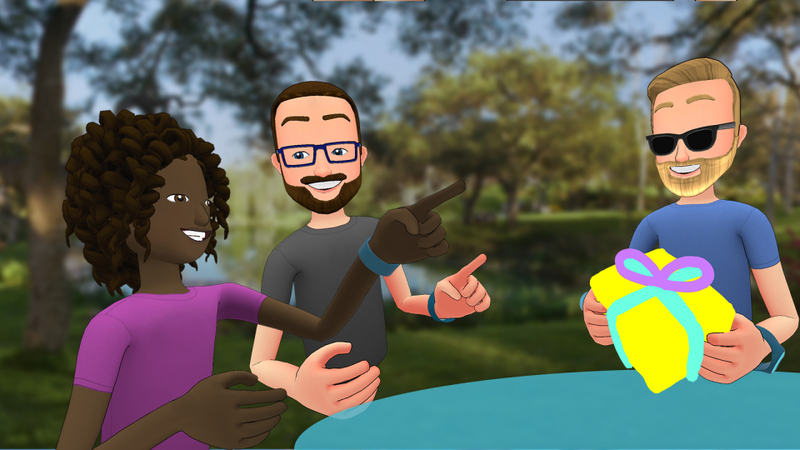 You can download Facebook Spaces from the Oculus Store free of charge.